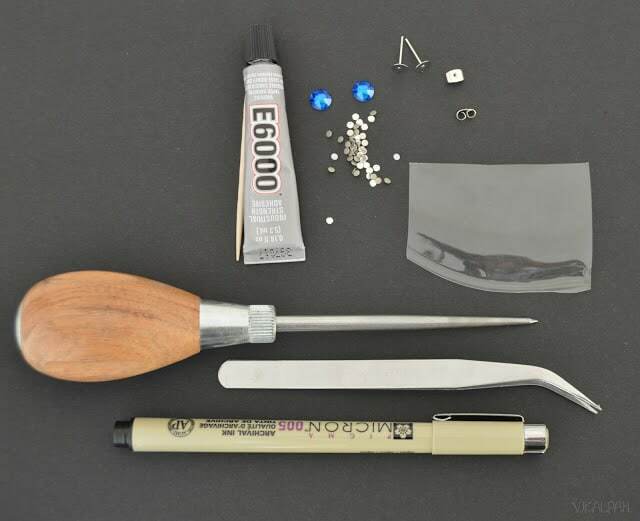 Xacto knife Step 1: Use E6000 to glue a crystal to the earring post. 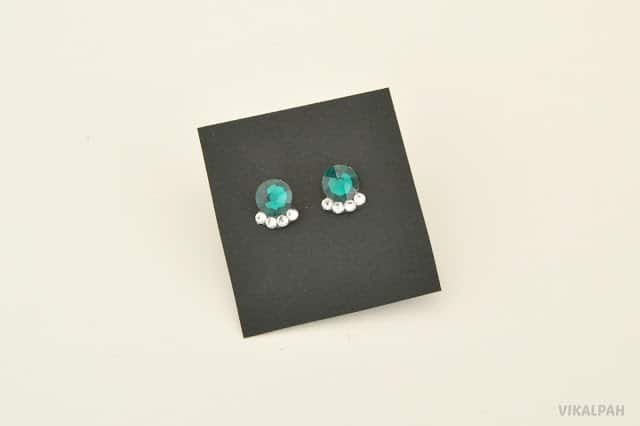 Make sure you get the earring post slightly smaller than the crystal as shown below. Step 2: To make the fanned backing, make a semi circle with 13mm as the radius. Draw the fan shape with 5 wings in the equal intervals as shown. 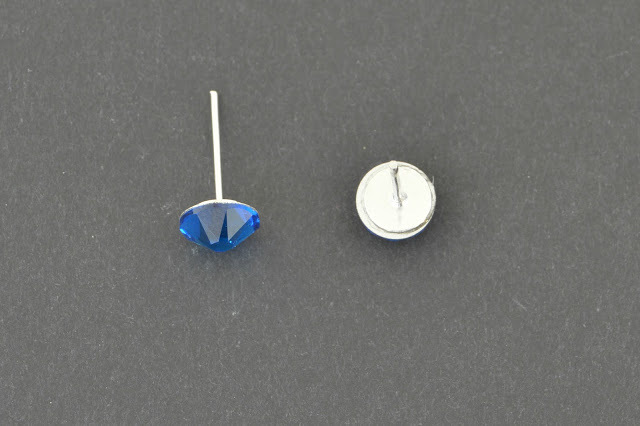 13 mm measurement is from the center dot and not from the edge. 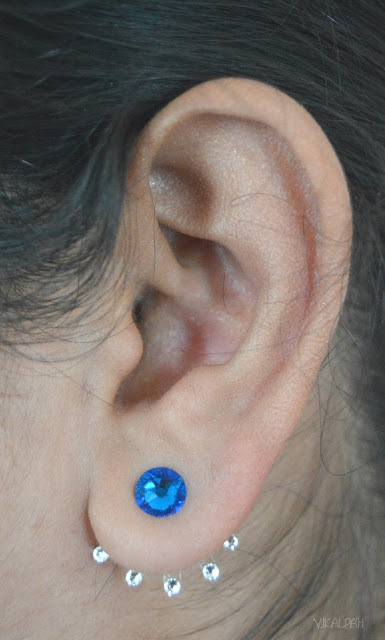 I came up with 13mm by measuring the distance from my ear piercing to the edge of my ear. Your measurement may vary which is why I did not upload this as a template. 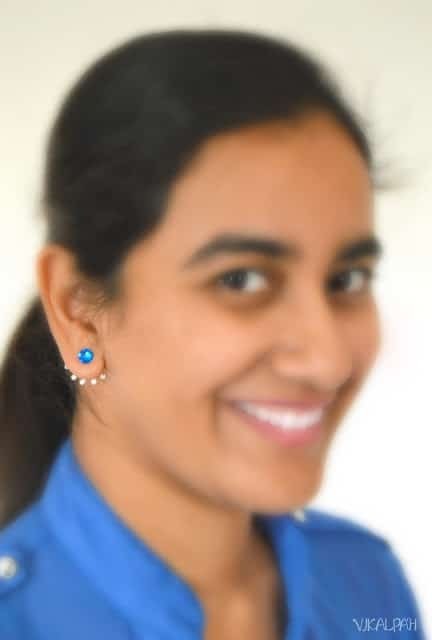 If you still need a template, you can just resize the below picture in any photo editing program according to the desired measurement and place a piece of paper on your computer/laptop screen to trace the template. After making the template, trace it in the plastic using pen. (I am using an empty dates container here. 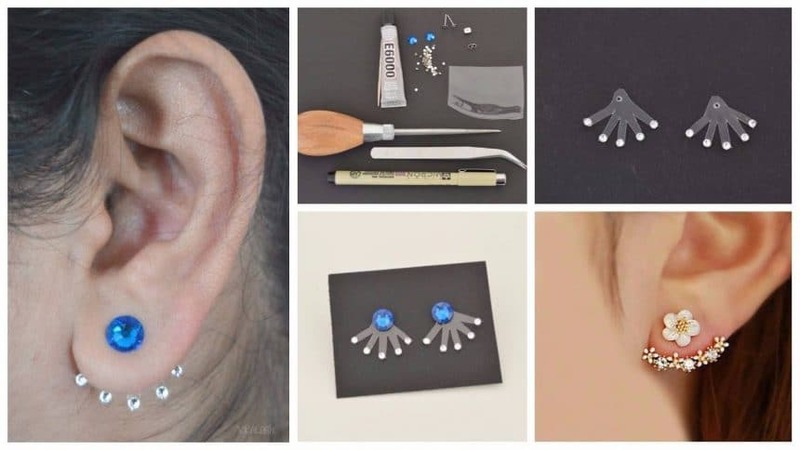 Just go check your pantry, I’m sure you will find a plastic container to reuse or get a take out container and use the center flat area for making earrings like this.) Step 3: Cut the fanned backing using scissors and Xacto knife.Use an awl to make a hole in the fanned backing.The edges seem to be sharp but to be honest they aren’t that sharp to hurt you or anything.It’s better to round the edges if you are too much worried about the sharp edges. 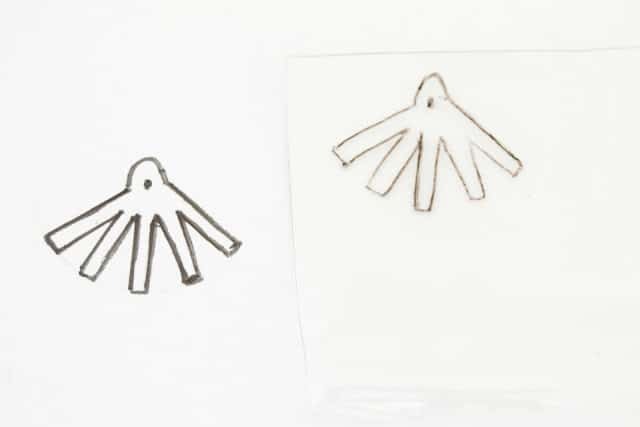 Step 4: Use a toothpick to apply glue to the small sized crystal and with the help of a tweezer place the crystal in each wing as shown.Allow it to dry. Step 5: Ta da!! 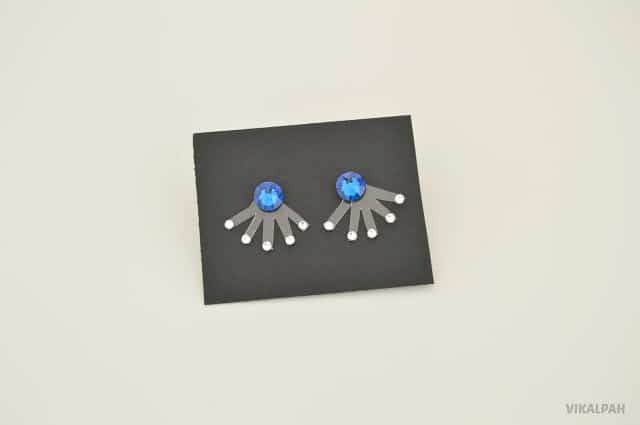 Your dazzling back stud earrings are now ready to wear. 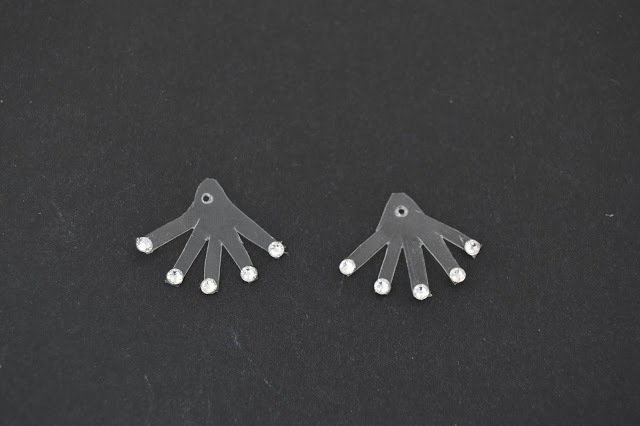 Wear your earring post first and before putting your stopper, insert the fanned backing and then your stopper. Isn’t it so simple to do? 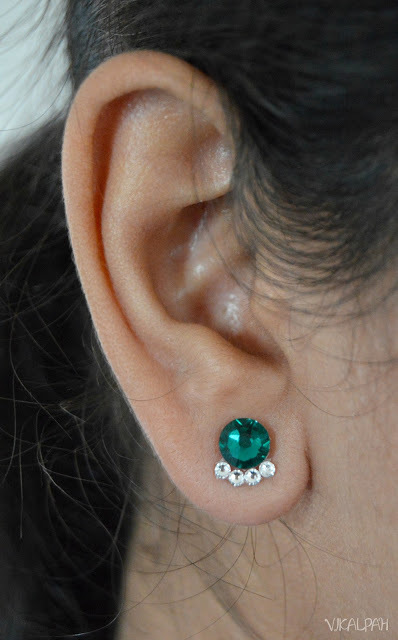 If you are not into this back stud/double sided earring fashion, you can make simple earrings with same supplies like this green earring shown below. There are a lot of design ideas that you can make with this. 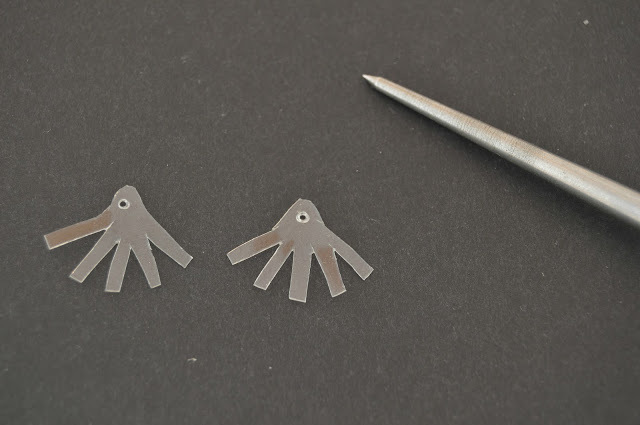 Simply glue the crystals on to the piece of plastic in the desired pattern and trim the edges with a xacto knife once the glue dries. 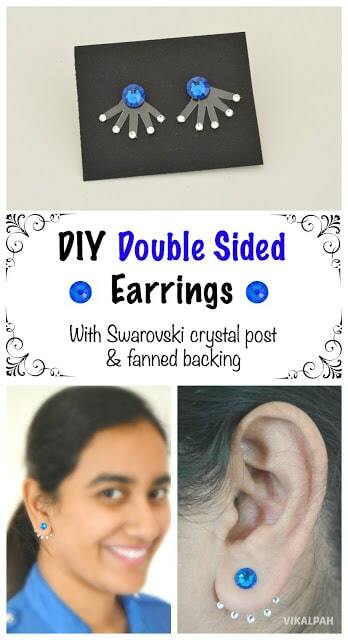 Glue the plastic piece on to the earring post to complete the earrings.